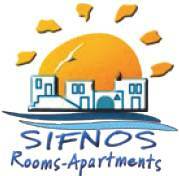 We are inviting you to Sifnos! The island of colors, fragrances, tastes and special sounds. We are looking forward to introducing you to the open – view and hidden beauties of Sifnos and the hospitality of Sifnos people so that your holidays are unforgettable!